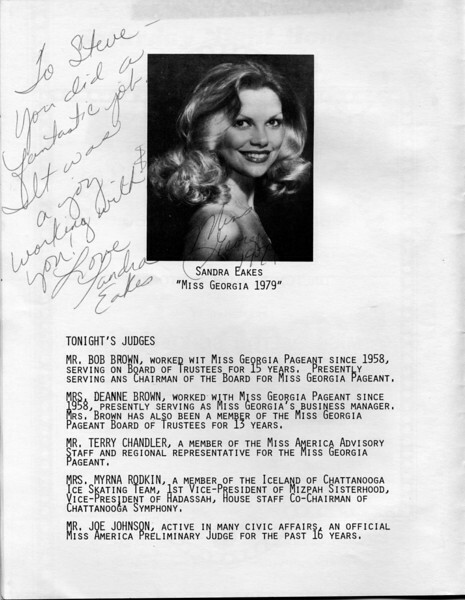 These scans are from the program created for the 1980 Miss Dalton Pageant, which was affiliated with the Miss America Scholarship Pageant. You can order prints for a small charge by clicking "Buy" and following the instructions. You can also download a high resolution file by clicking "Buy" and then "Downloads."